Maj. Jonathan R. Kennard, age 38, was slightly wounded in the head. Imagining the sarcastic taunts and the story-telling after this incident makes these figures from our past a bit more comprehensible. Read or download the book for free at gutenberg.org. From late Fall 2014, it is clear that we were close to the Brink. KCNA keeps us informed. 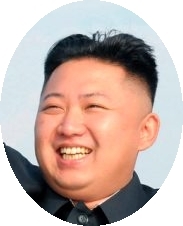 Update: KCNA site is geo-blocked, unfortunately, but you may try this web site. This clearly indicates that the puppet authorities are the prime movers of the madcap leaflet scattering operations of human scum in south Korea. As already disclosed, different ministries and agencies of the south Korean puppet regime are vying with each other to spend several millions of U.S. dollars for the leaflet scattering operations. Military gangsters provided military backing to the leaflet scattering operations. Not only forefront units of the puppet army but also flying corps of its air force were put on emergency alert. It is nonsensical, indeed, to have dialogue and discuss the issue of improving the north-south relations with such black-hearted guys. The puppet group is getting frantic in its anti-DPRK human rights racket in international arena in collusion with the U.S. and desperately hurling human scum into leaflet scattering operations as part of its confrontation ruckus. This is aimed to escalate the confrontation with the north and ignite a war. Some text from the Official Records of the War of the Rebellion. There are many, as in thousands of, noteworthy items in this giant collection. He himself blew the brains out of one, and, as I had ordered that no more prisoners should be taken, he says their loss must have been very great. La Grange, Tennessee, October 29, 1863. You will proceed immediately to La Fayette, Tennessee, and, if you find the railroad bridge destroyed and cannot find the men who did it, you will promptly arrest every man and lad in that neighborhood and send them here. You will then burn down every house in that vicinity. Major, and Chief of Outposts, Second Div., 16th Army Corps. The Lone Star flag which was raised over Carolan’s Auction room on Tuesday and left up over night, was floating Wednesday morning bespangled with the complete “glorious constellation,” much to the annoyance of the enterprising gentlemen who put it up. Of course the culprit is not known. The stars were sewed on. So some bold wag sewed six stars around the Texas star, after the 2/1/61 Texas secession. The other four states seceded after Texas. You are to use the colored troops as you think best, so as to relieve the white troops from duty where they would be exposed to disease. Those Southerners, what a group of bad men…. GENERAL ORDERS, HDQRS. DEPT. OF NORTH CAROLINA,, ARMY OF THE OHIO, Numbers 84. Raleigh, N. C., June 13, 1865. The time has arrived when I must bid farewell to many of my old comrades of the Army of the Ohio, and doubtless the time will soon come when we all must separate. It is a farewell tinged with no feeling of sadness, save for the loss of our brave comrades who have fallen. Our thoughts at parting are of duty faithfully done, of hardships and dangers bravely met, of battles fought and victories won, of our glorious Union saved from destruction and more firmly reestablished on the basis of freedom for all, of dear homes and friends to which we are returning, rendered tenfold more dear by the price it has cost us to preserve them, and of the grateful welcome that awaits us among our friends and countrymen. Let the memory of Knoxville, Resaca, Dallas, Kennesaw, Chattahoochee, and Atlanta; of Columbia, Franklin, and Nashville; of Fort Wagner, Drewry’s Bluff, Cold Harbor, Petersburg, Richmond, and Fort Harrison; of Fort Fisher, Anderson, Wilmington, and Kinston, ever remind us of the priceless value of our free institutions, and incite in us that faithful discharge of our duties as citizens which alone can secure to us and to our posterity the full fruits of the victories which as soldiers we have won. My comrades, I bid you farewell, and may Almighty God bless and reward you for patriotism and fidelity in the cause of liberty and Union, and may he comfort and protect the widows and orphan children of our comrades who have given their lives for their country. Things were not as clear-cut as we have convinced ourselves during the intervening 150 years. HEADQUARTERS MILITARY DIVISION OF THE MISSISSIPPI, IN THE FIELD, BIG SHANTY, June 16, 1864. General Thomas did not make the progress last night I expected. He found the enemy strongly intrenched on a line slightly advanced from a straight line connecting Lost and Kenesaw Mountain. I have been along it to-day, and am pressing up close. Shall study it, and am now inclined to feign on both flanks, and assault the center. It may cost us dear, but in result would surpass an attempt to pass round. The enemy has a strong position, and covers his road well, and the only weak point in the game is in having the Chattahoochee in his rear. If, by assaulting, I can break his line, I see no reason why it should not produce a decisive effect. I know he shifts his troops about to meet our supposed attacks, and thereby fatigues his men, and the woods will enable me to mask our movements. Cost were “dear” indeed to ~3,000 men and their families. Bit late for Force of July festivities. To replace “bomb bomb president” as the primary e-mail signature, a Slashdot contributor provided this improved content. Improvement is possible, but it is a great start. 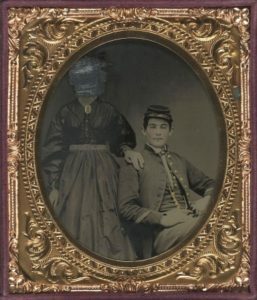 From the Library of Congress collection comes this image of a possibly unhappy ending. 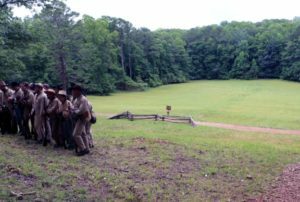 The Confederate Congress sometimes passed “votes of thanks,” such as the one to Cleburne’s Division for the defense of Ringgold Gap (many Texans fought there as well). Another striking event was this proof of the strength of realtors’ “location, location, location” mantra: Sabine Pass. The emphasis is mine. No. 14. — Joint resolutions of thanks to Captain Odlum, Lieutenant Dowling, and the men under their command. Thanks of Congress to Capt. Odlum, Lieut. Dowling and the Davis Guards under their command, for the defence of Sabine Pass, Texas. Resolved, That the thanks of Congress are eminently due, and are hereby cordially given, to Captain Odlum, Lieutenant Richard Dowling, and the forty-one men composing the Davis Guards, under their command, for their daring, gallant and successful defence of Sabine Pass, Texas, against the attack made by the enemy, on the eighth of September last, with a fleet of five gun-boats and twenty-two steam transports, carrying a land force of fifteen thousand men. Resolved, That this defence, resulting, under the Providence of God, in the defeat of the enemy, the capture of two gun-boats, with more than three hundred prisoners, including the commander of the fleet; the crippling of a third gun-boat, the dispersion of the transports, and preventing the invasion of Texas, constitutes, in the opinion of Congress, one of the most brilliant and heroic achievements in the history of this war, and entitles the Davis Guards to the gratitude and admiration of their country. President requested to communicate these resolutions. “Come and take it” indeed….